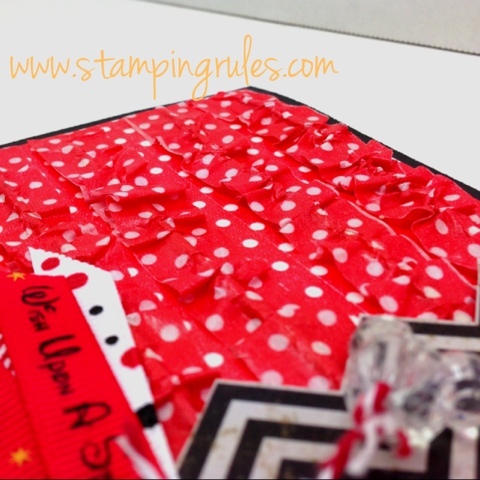 This week the 10 Things team at Practical Scrappers is exploring fun ways to use Washi Tape. 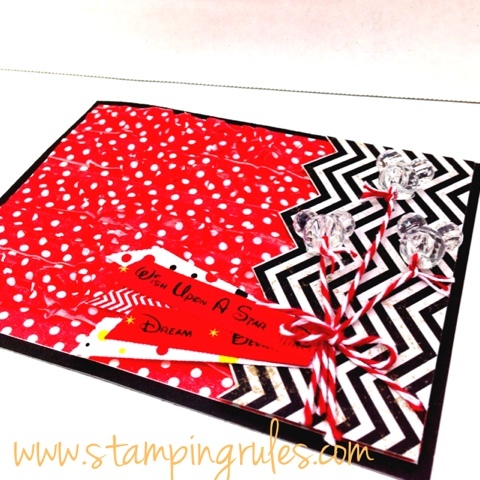 Since I've got Disney on the brain with my upcoming trip to CTMH Convention in Orlando, I created a cute Disney card using washi tape from Queen and Co. combined with my fav chevron pattern from For Always. The Mickey "balloons" are clear beads that I bought on eBay. The ruffles were really fun and interesting to make. I cut lengths of rubber band and sandwiched it between two lengths of the Washi Tape. Try to keep the rubber band stretched while sticking the washi tape together - I did this by taping one side to my table while I stretched with one hand and placed the washi with the other...a second pair of hands would've been handy! Once I'd made my five lengths of ruffles I wrapped white cardstock with the flat washi tape, then adhered the ruffles I'd made down the seam lines. Can you see the texture of the ruffles here? Love it! I actually had to pop up the chevron paper to allow for the texture of the ruffles. I based my card on this week's adorable sketch from RetroSketches. So many cute cards out there! 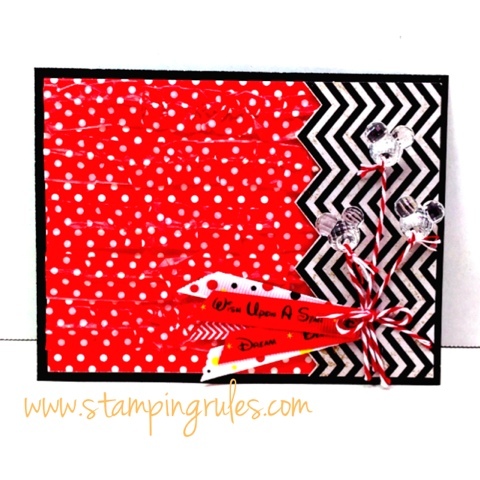 Dont' forget to pop over and see what the rest of the team did with their washi! What a cute Disney card! You are so talented! Last winter at the RV park a friend showed me how to make a few simple cards. Lots of fun! Thank you for leaving me such a lovely comment about my lilac tea!